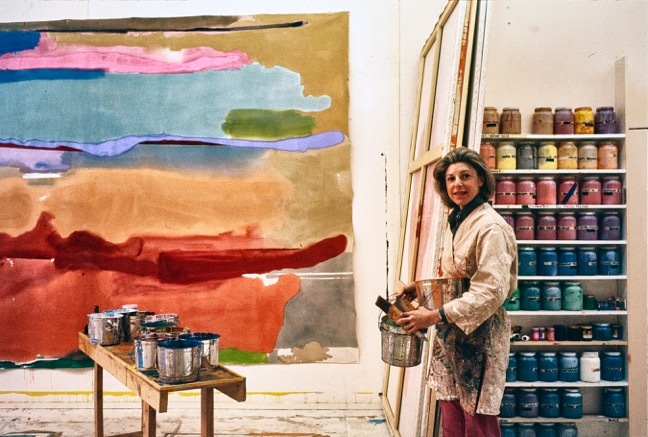 Persistently experimental over some sixty years, Helen Frankenthaler (1928–2011) produced an impressive oeuvre comprising unique paintings on canvas and paper, as well as ceramics, sculpture, tapestry, and especially printmaking. The catalogue raisonné will document information relevant to each artwork—detailed histories of ownership, exhibitions, and publication history—as well as to Frankenthaler’s creative process—materials, tools, and techniques. The Project, which seeks information about any artworks, except prints, thought to be by Helen Frankenthaler, will soon make a questionnaire available to those who believe they own a work by the artist. *A catalogue raisonné of the artist’s prints, Frankenthaler: A Catalogue Raisonné, Prints 1961–1994, by Pegram Harrison and Suzanne Boorsch, was published in 1996 by Harry N. Abrams, Inc., New York. An addendum covering Frankenthaler’s print editions from 1994–2009 is planned as a future project.